I am a big fan of theatre as you know. I saw many wonderful productions in 2016 and most recently, on New Year’s Eve, went to see Amadeus at The National (amaze). However there are some plays that come along that I am just not qualified to review, and I feel that I need to send someone of a far higher caliber to do the job. There was nothing for it but to call in the expert, who still got by the name of Poppy (great name) but is a little shorter than me and far more experienced in the world of Gruffalos and wotnot… and luckily for me, she accepted the job. Apparently Poppy couldn’t believe that all three characters were played by the same clever chap! 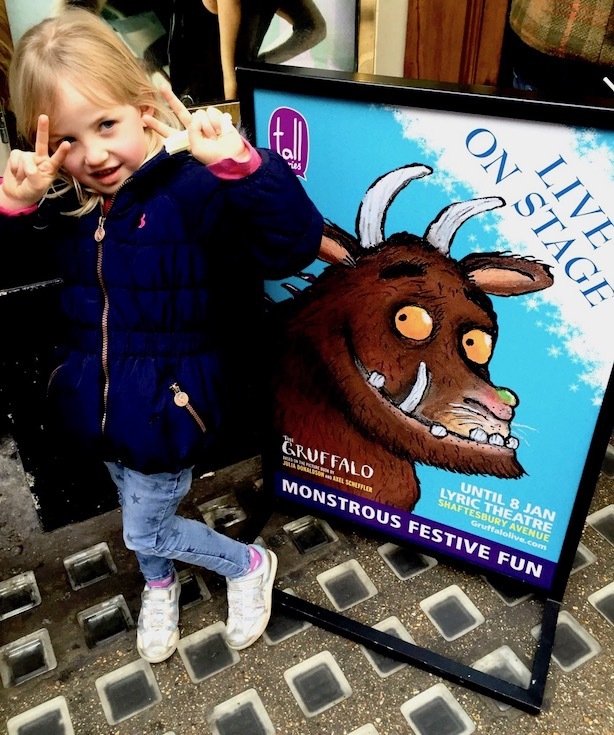 If you’re familiar with the book of The Gruffalo, you may well be wondering how it could possibly be made into a musical that lasts just under an hour, (the book is quite short)…but rest assured, no compromises are made. 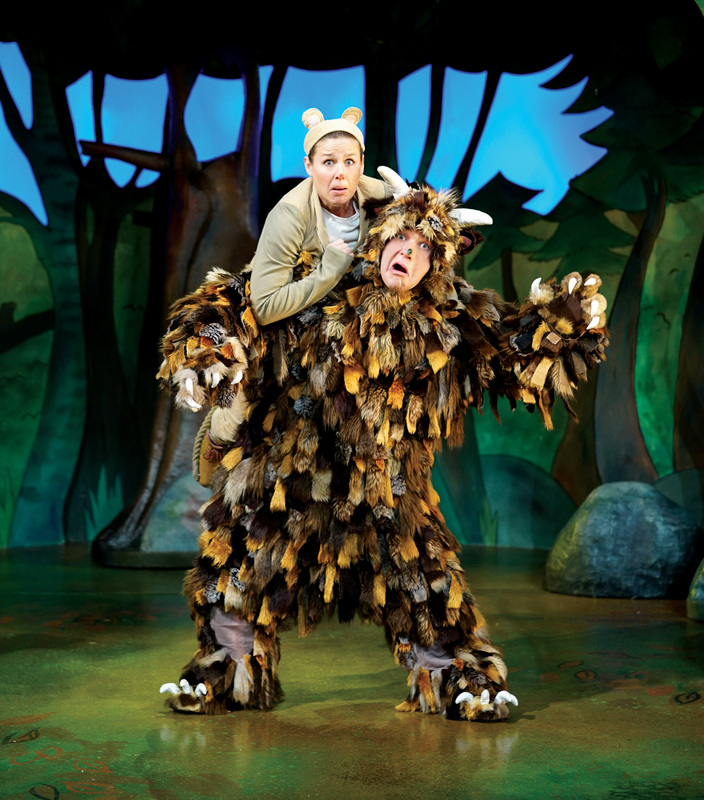 The original poem is still there, as is oodles of silliness, dance and extra bits and funny pieces that keep kiddiwinks enthralled until the very end… and it all takes place on a set that looks like its popped out of Axel Scheffler’s (the original illustrator) own head. 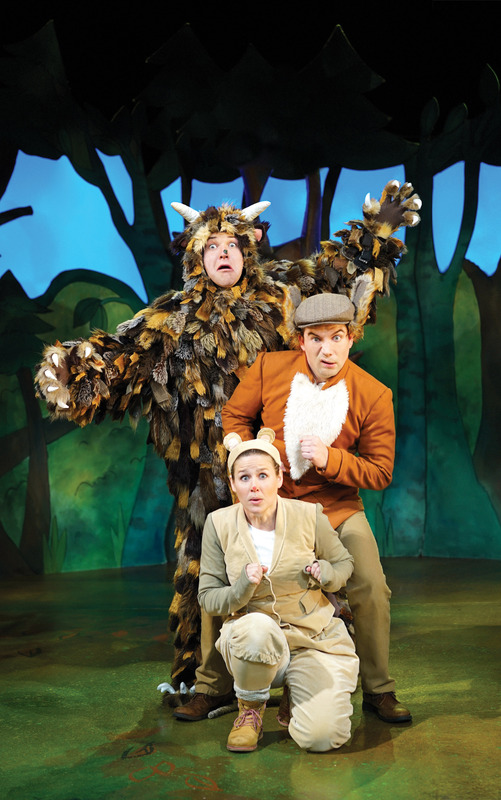 Tall Stories has toured The Gruffalo around the UK and the world since its premiere at Chester Gateway Theatre in May 2001 – just two years after the book was published! As well as London West End runs at the Lyric Theatre, Duchess Theatre, Vaudeville Theatre and Arts Theatre the show has been to nearly every major regional theatre in the UK, plus North America (USA and Canada tours and the New Victory Theatre in New York), Australia (including Sydney Opera House), Dubai, Abu Dhabi, France, Germany, Hong Kong, Singapore, Poland, China and the Philippines. The Gruffalo must be VERY good at geography. Poppy’s favourite character was the mouse and she loved her singing, as there are no songs in the book. So even though I wasn’t there myself, and even though I didn’t personally get to experience the wonders of Mouse’s singing, I am telling the honest truth when I say that Poppy Loves. 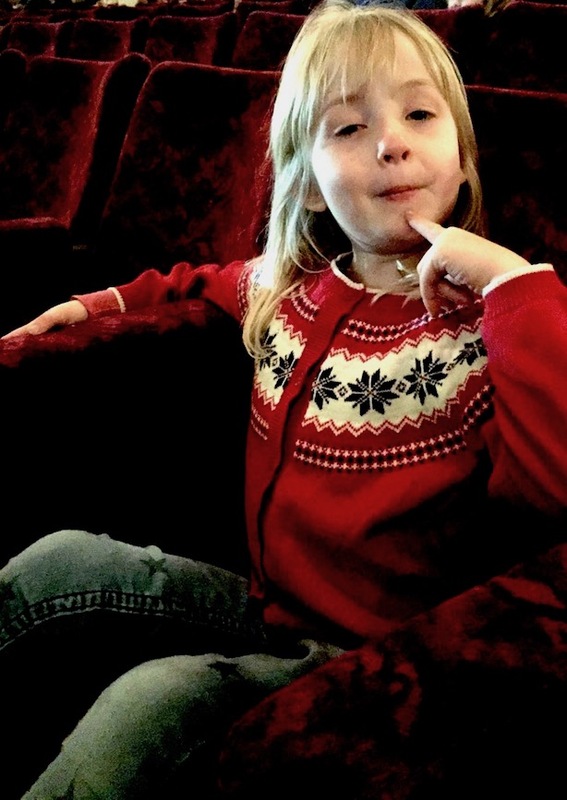 Thank you, Poppy, for being a most excellent reviewer – you nailed it. 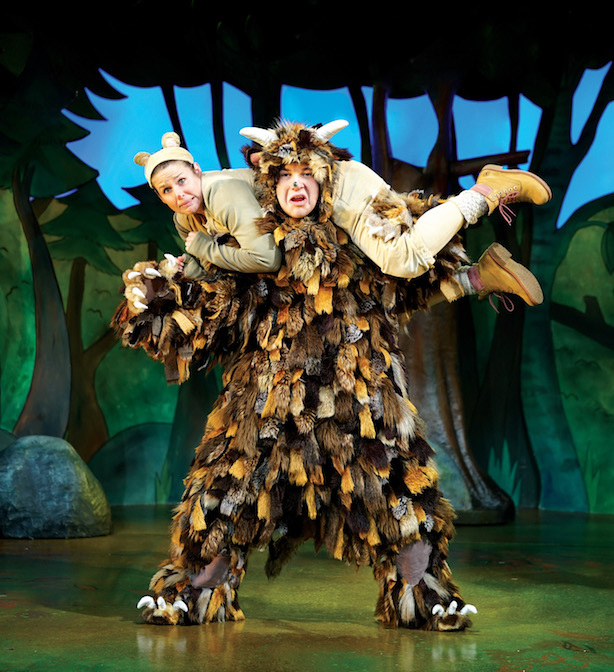 The Gruffalo is on at The Lyric until the 8th January – grab your tickets for the last few days of this run as soon as you can! Complimentary tickets were given to Poppy and her mummy.